This statistic shows the results of a survey among Americans regarding their moral stance towards abortion in 2018. 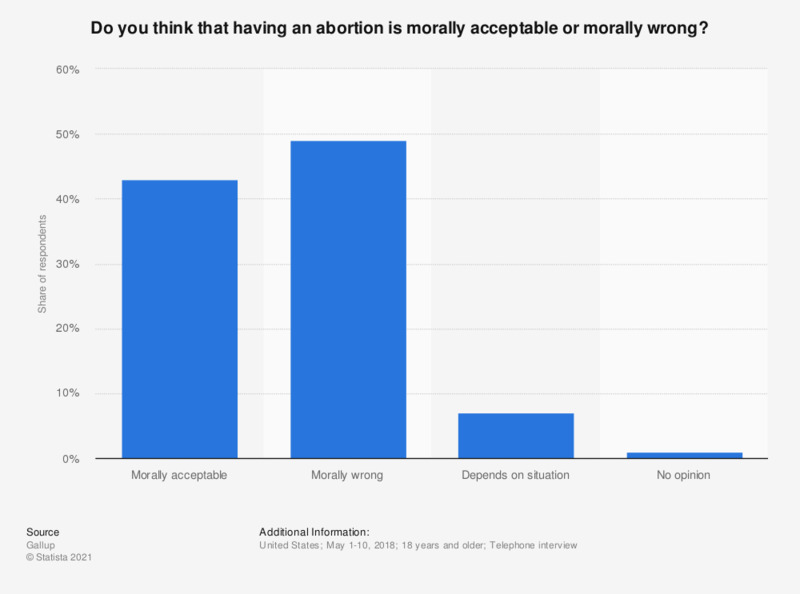 In 2018, 43 percent of respondents stated that they think having an abortion is morally acceptable, while 48 percent considered it morally wrong. The source does not provide an exact number of respondents. What is the value that you consider the most important in your life? Do you think an abortion can result in psychological problems for the woman concerned?